Verizon Wireless has launched the PN-300. While Verizon has slapped its own branding on the handset, the PN-300 is actually manufactured by Pantech. 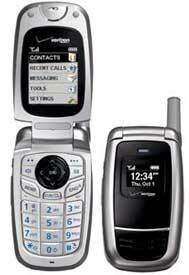 The basic clamshell handset competes with another phone Verizon Wireless launched today, the Motorola W315. Verizon Wireless is selling the PN-300 for $29.99 after a 2-year contract.